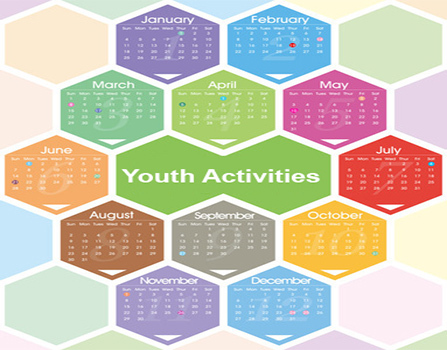 Most Activities require a Medical Release Form before participation in the activity. Forms must be updated each year. Please print the form, fill it out and turn it in to the office or Alan Bush. Opportunities to grow as Christians. We not only offer a variety of mission and campaign related activities, but we also encourage local evangelism. Sonshine Youth Rally is held locally every year and we invite you to attend! We also do door knocking, nursing home visits, assist with Vacation Bible School, and many more locally based and focused evangelistic activities. Service is important to us and we show our love of Christ in a number of ways. In December we purchase holiday gifts for a local family. One way we give back to our Bible Class teachers is by being servers at the annual Teachers Banquet. The weather in sourthern Indiana has provided us with opportunities to shovel snow for the elderly members of our congregation. Following two disasters in our area, a tornado and an ice storm, our group was able to help unload a semi-truck of disaster relief items. As you can see, we are going about doing the Lord’s work.